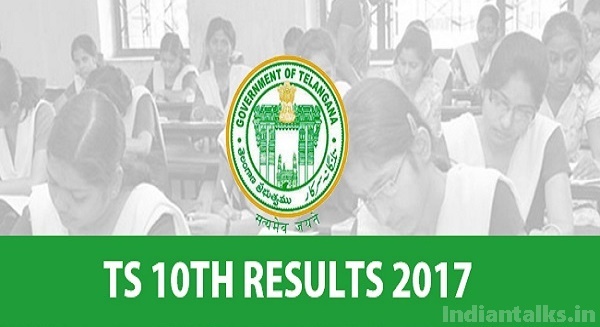 TS 10TH Results 2017: The Telangana State Board of Secondary Education (BSE Telangana) also known as Telangana SSC Board will release the result for class 10 board exam 3rd may 2017.The Director of School Education, Telangana, G Kishan IAS confirmed to NDTV that the Class 10 result will be released by 4:00 pm. Telangana SSC result 2017 will be declared on the board’s official website which is http://bse.telangana.gov.in/. The Telangana state board exam class 10 was conducted in March this year. Over 7 lakh students appeared for the exam from 30 districts of Telangana. Telangana SSC Results 2017 will be declared on the official website of the board. Candidates who appeared in the exam can check their result using their examination roll number. The web server hosting the result may go down because of heavy traffic. In such case, you may not be able to check the result immediately. Students should not panic if this happens and wait for some time before checking their result again. Telangana State Board of Intermediate Education (Telangana BIE) had declared results of the intermediate examinations conducted in March this year in various streams (General and Vocational) on the last month. How to Check TS SSC 10th Result 2017? Click on Telangana 10th Class Results. The TS SSC Result will appear on the screen. TS 10th Results 2017 will be available on the following website. The IndianTalks wishes All best to all the students who are going to write the BSETS 10th Class and you can share this info on social media and don’t forget to follow us on Facebook, Twitter and other social media platforms for latest trending updates for the results.We will update TS 10th Pass Percentage district wise here. Press CTRL+D to bookmark this page for easy navigation.